Were you satisfied? Rate us! 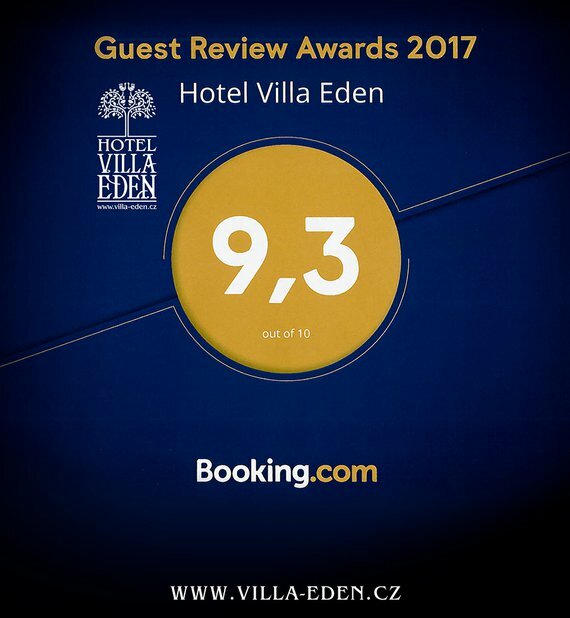 Hotel Villa EDEN - offers friendly accommodation and meeting rooms ready for your corporate or private events, seminars, presentations, business meetings etc. Our goal is to provide the highest level of professional services. 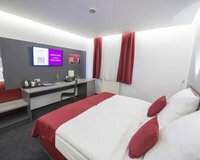 Discover modern, comfortable and pleasant environment at our hotel. Guests of the hotel stay in a quiet part of town and at the same time only a few minutes walk from the historic center. We are ready to meet your requirements and fulfill all your expectations. Please note, that since July 2010 we decided to make all areas of the hotel, including all rooms and Lobby bar strictly NON - SMOKING. We hope you will appreciate this effort and enjoy your stay. 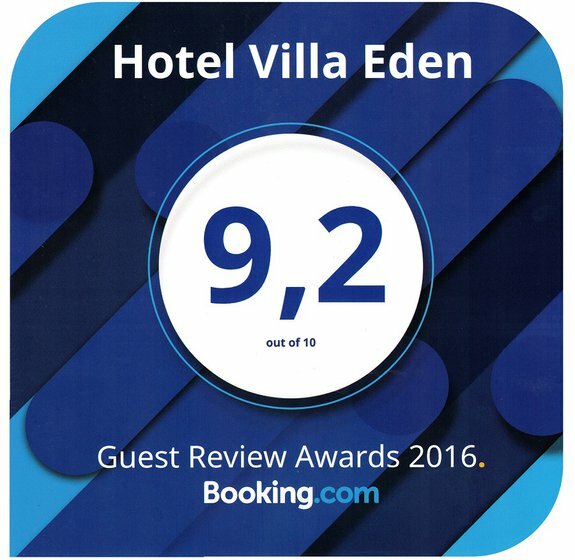 Stay in a family and modern Hotel Villa EDEN with private parking. Our priority is clean and pleasant environment where you always feel comfortable and cozy. 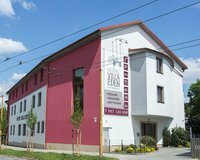 Excellent location in a quiet area near the historic center of Jihlava. Professional services, family environment and individual approach. 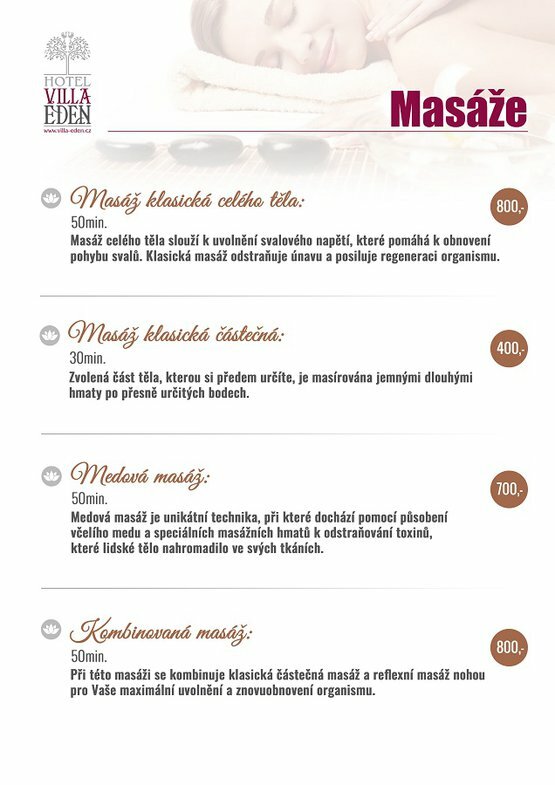 We help to organize daily activities, recommend interesting tourist attractions. We offer our guests a softer mattress - ALWAYS SOMETHING MORE! Donate a weekend stay in the Highlands! Easy and quick purchase of the voucher online, send by email. 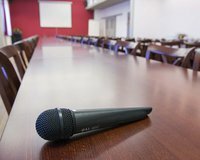 Are you preparing a training or consulting session for your employees or do you want to organize a conference? 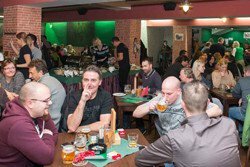 At Hotel Villa EDEN you will find a pleasant modern environment for such events. 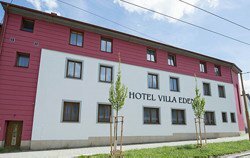 The location of Hotel Villa EDEN makes it an ideal place for these purposes, in addition to easy accessibility from anywhere in the Czech Republic thanks to its proximity to Expressway D1. Hotel Villa EDEN has an accommodation capacity of 46 beds and is aimed at the group, individual, but also family tourism. We can set up wine tasting events for groups and organize team-building, entertainment, or sports activities. We would be happy to create a complete leisure program for the entire duration of your stay at our hotel. 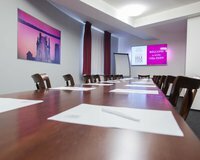 Location of our hotel in the historic city center and private parking creates peaceful background for your meetings. Non-smoking environment. But, you can enjoy your cigarette with a cup of coffee in our historic garden-house from the 19th century. Do you need a TAXI? Call XANADU-Taxi! The town of Jihlava is located in the heart of Bohemian-Moravian Highlands Jihlava’s large square along with the adjacent streets forms the basis of Jihlava city. If you visit church tower of St. James or Gate-Mother of God you can see panoramic view of the city and its surroundings. 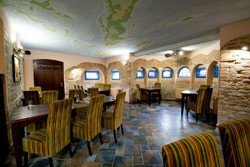 One of the main attractions is Jihlava underground and kids will certainly enjoy trip to the ZOO or Water Paradise. We will be glad to help to you to organize sightseeing, recommend interesting tourist spots and arrange reservations or tickets to local attractions. Timeless, modern club and bar. 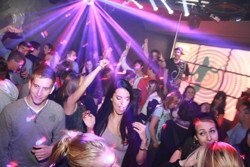 The club's visitors will find themselves surrounded by latest technology, including a state-of-the-art sound system and perfect air-conditioning, so that you need not fear that cigarette smoke would spoil your fun. 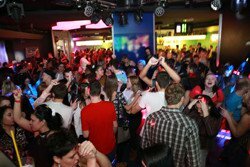 In charge of entertainment are leading DJ ´s, both from the Czech Republic and abroad. Inspiring program and our team's creativity are bound to make your evening with us an unforgettable experience. The Buena Vista restaurant offers South-American and Cuban specialties. You have a choice of over 50 exotic and classical dishes. You may order steaks from South-American beef, fish, or seafood, or choose from a great palette of salads and pasta dishes. Our chef uses nothing less than best-quality ingredients, as we put great emphasis primarily on the quality of the meat and fish we serve. It goes without saying, of course, that we have qualified kitchen staff and an experienced chef. 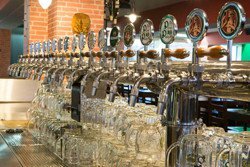 The Jihlava Inn offers 18 types of beer. 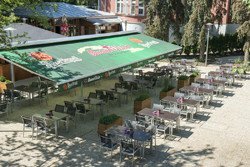 It is a small, cozy and non-bars garden situated close to the town’s centre in the valley of the Jihlavka River. It is home for more than 150 exotic animal species, including endangered ones. The garden specializes in felines, primates and reptiles. The Zoo offers also children’s playing area with numerous attractions. Open all year round. Child up to 3 years free of charge. Reservations are valid till 10 pm, later after phone agreement. The room can be divided into two parts which are technically independent. We will gladly prepare an individual offer for you. 0 - 2 days before arrival 100 %. 3 - 6 days before arrival 80 %. 7 - 14 days before arrival 50 %. 15 - 21 days before arrival 20 %. 21 and more days before arrival no tax.